Get ready for two awesome back-to back episodes with Julianne from TheGarterGirl. In this episode, Julianne talks with us about blogging, staying in your niche, the importance of great photos, and more! 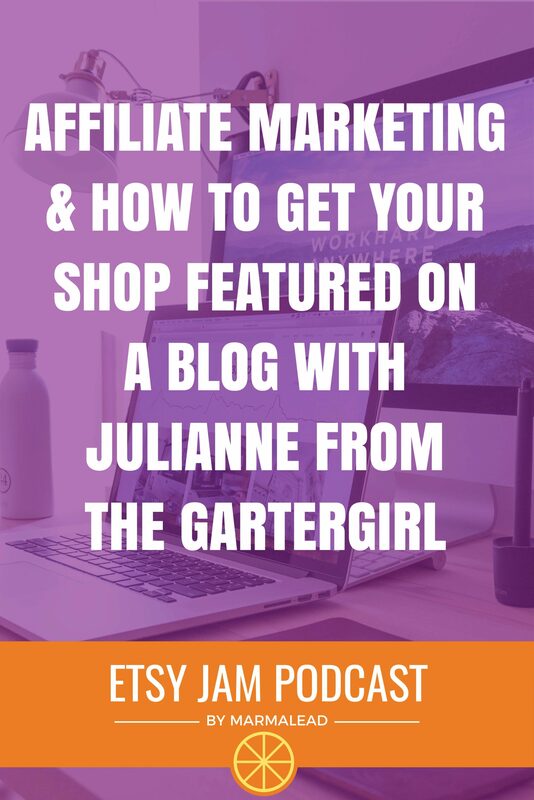 Then next week, in part 2, we will take a deep dive and explore a promotional opportunity available to ALL Etsy sellers that hardly anyone is taking advantage of. Continuing reading for the first installment of this two part Jam!